Lhasa Everest Base Camp Kathmandu tour is one of the most popular tours in Tibet, it begins from Lhasa-the historic capital of Tibet, the golden sunshine and blue sky is the dreams of many travelers all over the world, it is also the pilgrimage destination of all Tibetans, mingling with local pilgrims around the Barkhor street is an extra-ordinary feeling. This tour brings you not only through the historic palaces and operating monasteries, but lines of breath-taking natural sceneries, such as turquoise water Lake Yamdrok, mighty Nyenchen Kangsar glacier and great peaks of Himalayans, will surely enrich your knowledge of the high plateau and its geography, gradually come across the rich culture of western Tibet and then to world summit Mt. Everest Base Camp, then gradually descent down through the green valley of Matsang Tsanpo gorges to Kathmandu(1300m) of Nepal. In a nut-shell, this tour covers rich cultures and traditions, historical sights and natural beauties of Tibet. Upon arrival at Lhasa, the spiritual heart of Tibet, meet your guide and transfer to the hotel. The remainder of the day is for relaxing and acclimatizing to the altitude. An unforgettable day begins with a tour to the monumental Potala Palace (UNESCO). Once the residence of the Dalai Lama and the seat of the Tibetan government, the 13-story building is currently converted into a museum, which is comprised of over 200,000 statues, temples, shrines, and historical Tibetan articles. Afterwards explore the Sera Monastery, one of the three most distinguished monasteries in Lhasa. It is famous for its tantric teachings. 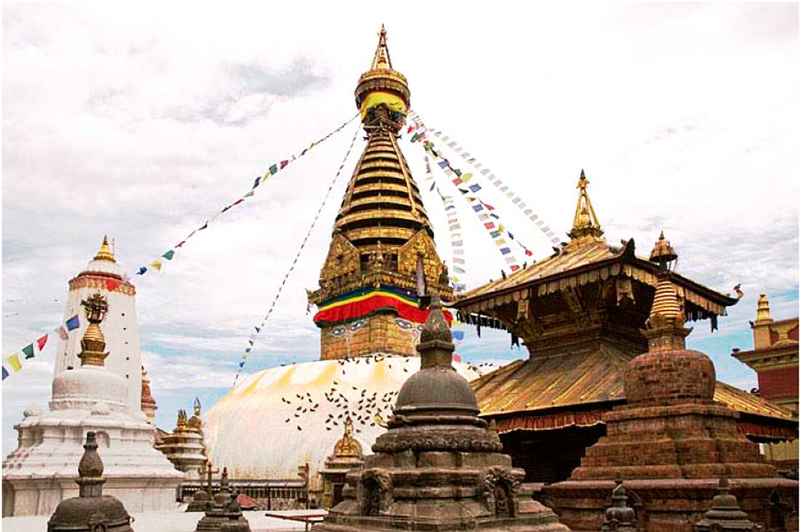 Today\'s excursion starts with the 1,300 years-old Jokhang Temple (UNESCO), which commemorates the marriage of Tang princess Wencheng to King Songtsen Gampo. It is reputed as the first Buddhist temple in Tibet and as the sacred temple of all Tibetan Buddhists. Surrounding Jokhang is the Barkhor Street, Lhasa's old market. This area is full of vendors selling their wares, yak butter wafting in the air and hundreds of people moving in a clockwise direction. Afterwards explore the summer palace of the Dalai Lama - Norbulingkha. In the morning, you take a scenic drive to visit Yamdrok Tso Lake, one of the three largest sacred lakes in Tibet, to appreciate the intoxicating beauty of snow-capped mountains and numerous streams and via the Karola Pass -- the highest road pass in Lhasa.Then explore the Palkhor Chode, a monastery having the characteristics of Han, Tibetan and Nepali architecture. It enjoys a high status in Tibet Buddhism history. Then transfer to the hotel in Shigatse. We drive over the Pang La (5150m) towards the main Himalayan range that give magnificent view stretching from Makalu to Shishapangma. Below the pass, as we turn the corner into the Rongbuk Valley, we can watch the charming view of Everest. Overnight at Guesthouse. In the morning hiking to Everest Base Camp and back to Rongbuk Monastery. Overnight at Guesthouse. Early in the morning we will explore Everest Base Camp and watch sunrise on Mt. Everest. It is a truly inspiring place � the absolute north face of the highest mountain in the world soaring above you. The tour will continue on to Zhangmu. Driving past Tingri, we will cross Lalung La pass at (5124 m/ 16068 ft) and Shung La pass at (5200 m/ 17056 ft), Nalyam Pass (3800m/12464 ft) which offer enchanting views of Shishapangma, Cho Oyu, Menlungtse and Gauri Shanker. 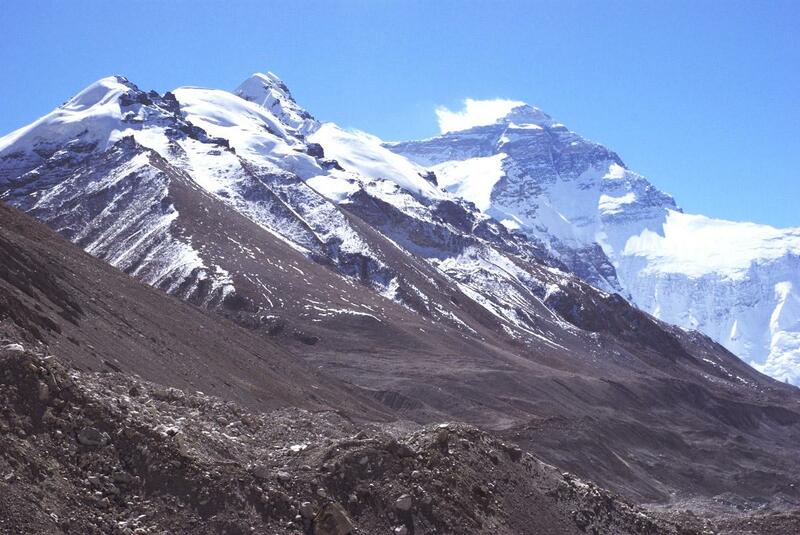 We then descend gradually from the dry Tibetan Plateau. After several hours, you will find yourself amidst the verdant and fertile vegetation of Zhangmu at 2300 meter in the Nepalese border.Overnight in Zhangmu. A few kilometers drive from Zhangmu to the Friendship Bridge over the Bhote Koshi River brings you to Immigration Control in Kodari, where you will depart with your Tibetan guide and driver, and walk across the river to meet our representative and drive to Kathmandu. After 4 hours of driving through deep valleys. Arrive in Kathmandu and transfer to hotel. Check in hotel. This day will be reserved as leisure for your own activities/shopping etc. In the evening we will take you to the typical Nepalese restaurant where you can have Nepali local food with culture show program. Return to hotel and overnight. -Tibet Visa & Travel Permit. -All necessary monasteries entrance Fees. -An English speaking local Tibetan guide. -One night hotel accommodation in Kathmandu ( 2 Star Category) on B/B basis. -Insurance & emergency rescue charges. -Additional transportation & porter charges in the event of landslides. -Others not specified in the above cost inclusion lists.